Doghenge Revisited | Ooh Something Shiny! 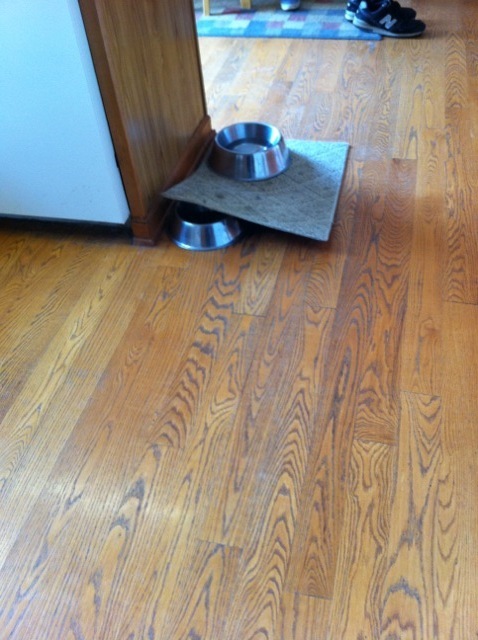 You may recall a previous blog post regarding my subversive dog who stacks her food and water dishes as an act of silent rebellion. She is not protesting the food, before you ask. She gets the high-end-fancy-pance petstore brand. I think it’s made from unicorns and pyramid dust. The Slide: this maneuver has a subtle elegance that earlier attempts lacked. The Cornered Dish. 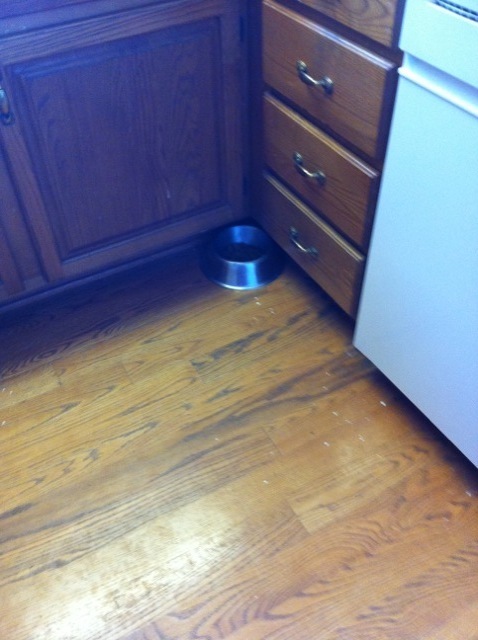 This move requires navigating a corner, then shoving the bowl 3-4 feet into this corner. 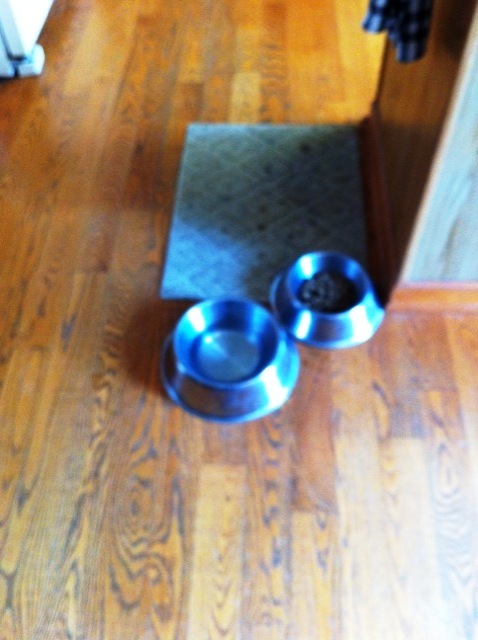 Note please that the bowl is full, so this dog dish shuffleboard is not caused by enthusiastic chowing down. Crouching Placemat, Hidden Dog Dish. I think she might have a bit of an artistic temperament! That’s a really good point. I’ll have to watch her to make sure she doesn’t cut her ear off or use my credit card to buy berets on the internet.